PARLIAMENT: The road to the passing of the 2018/2019 national budget has been a rough one for the Ministry of Finance, Planning and Economic Development after Deputy Speaker, Jacob Oulanyah lashed out at the institution for the chaotic way they handled the budget process. Oulanyah’s angry remarks followed the failure by Parliament to hit the 31st May deadline for passing the budget as stipulated in the Public Finance and Management Act 2015. With the discussion on budget featuring top on the business to do during the 29th sitting of the 3rd meeting of the 2nd session of the 10th Parliament of on Thursday 31st May 2018, Oulanyah was made forced to alter the order paper to allow MPs ask Minister policy matters affecting their constituencies, after discovering that the report on the 2018/2019 budget hadn’t been completed by the Budget Committee. After a delay for over four hours, the report was finally presented, but the Deputy Speaker was met with more horror when it was revealed that the figures in the budget weren’t adding up. The discovery forced Oulanyah to suspend the House for 20minutes to allow both the Ministry of Finance and Budget Committee to harmonise the figures. But even before the 20minutes elapsed, Parliament resumed with Oulanyah revealing that the budget wouldn’t be passed, because the two sides had failed to harmonise the figures. Before adjourning the House however, the Deputy Speaker gave Matia Kasaija (Minister of Finance) his piece of mind, castigating the Ministry for messing up the budget process by tabling addendums and corrigenda, wondering why they waited this long to do so. “I am running out of words to describe the kind of things you do. The last one (corrigenda) came last week. 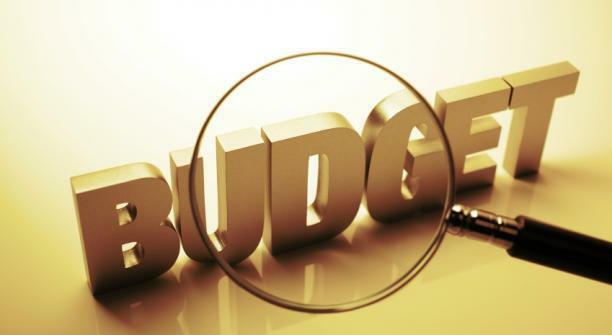 How do you expect the Budget Committee to go back from the time of the Budget Framework Paper? You are presenting corrigenda in the last week in the month we are supposed to pass a budget, to be considered in the budget,” Oulanyah fumed. The Deputy Speaker also warned the Ministry of Finance against ever tabling corrigenda after the final budget has been presented before Parliament. After his furious lecture, Minister Kasaija took to the floor and apologised for the mishap saying it isn’t within his tradition to do things shoddily, and blamed the messy budget on the many activities that were going on at the Ministry that got him distracted and lost track of the budget process. The 2018/2019 national budget was tabled on 29th March, 2018, by Kasaija and it was subsequently referred to the Budget Committee. The total proposed annual budget for 2018/2019 as originally submitted to Parliament amounted to Shs30.905Trn, of which Shs20,745,83Trn representing 67.13% was for appropriation, while Shs10,159,67Trn about 32.87% was for statutory expenditure. On 9th May 2018, the Ministry of Finance submitted a Corrigenda to the Draft Estimates, and an addendum to the Corrigenda, which revised the total proposed annual budget to Shs3.24Trn, of which Shs22.3 billion is for appropriation and Shs10.11Trn is for statutory expenditure.